CompArt International, as the official distributor of several global manufacturers of printing mechanisms and printers, in order to ensure the best print quality and trouble-free operation of the printer, recommends, confers and delivers paper with the parameters appropriate for these printers. HiPaper is the highest quality thermo-sensitive paper. 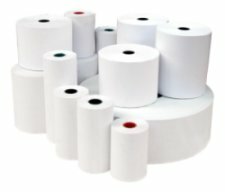 Each roll has a label with the following text: “Thermal Paper recommended for SEIKO and STAR printers”. We attach the storage instructions and a five-year warranty on the durability of the recording to the thermo-sensitive paper. The warranty applies to documents stored without access to light, at a temperature of 18 ° to 25 °, with a relative humidity of 40 to 65%. Do not store documents stored on heat sensitive paper for more than 24 hours at temperatures above 60 °, in PVC packaging, in contact with chemicals, alcohol or solvents. The use of other thermo-sensitive paper than recommended, will void the warranty for the printer and may lead to irreversible loss of documents stored on such paper, as well as damage to the print head. We also offer paper in any size on request (rollers for individual orders).